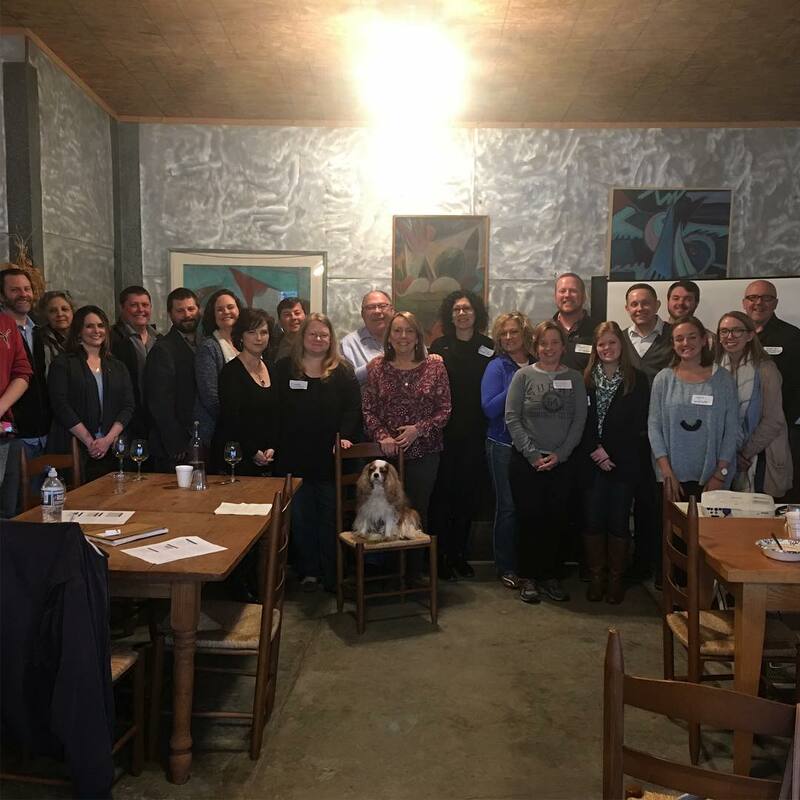 On Saturday, March 24, 2018, we held the first ever #NCWine Bloggers Summit at Hanover Park Vineyard. Around 30 folks attended. This included bloggers, winery owners / representatives and wine industry folks. It was a great day of discussion, networking and excitement. We should haven’t have waited until 2018 to hold this event for the first time. – Many wineries know bloggers exist, but often they don’t completely understand how we can help. We as bloggers had not had a chance to collaborate and make connections in person. This event was invaluable for this. We should hold the next summit on a Monday. – While most bloggers have day jobs and work on Mondays, we would have better participation from wineries if we did not hold the summit on the weekend. Look for next year’s date soon so folks can plan. Sunday Wine Tours for bloggers need to be a staple of the event. Thomas Salley at Raffaldini Vineyards offered to host a tour for bloggers following the summit. This spiraled into an whole afternoon of visits in the Swan Creek AVA. We want to thank Thomas for this idea and for his hospitality. We also want to thank Hailey Klepcyk at Piccione Vineyards for hosting us for a tasting. We ended the day with a joint tasting at Laurel Gray Vineyards hosted by Benny and Kim Myers. We would like to thank Benny and Kim along with Chuck and Jamey Johnson of Shadow Springs Vineyard and Windsor Run Cellars and Charles King of Dobbins Creek Vineyards for sharing their wines with us! We need other bloggers to present content. – We did a lot of talking this year. Next year, we would like to break that up and have other bloggers present content. Look for a call for content a few months before the next summit. A panel discussion would be a great way to break up the day. – A panel could provide unique opportunities for conservation and the sharing of ideas. This could include wineries, bloggers and industry insiders. Wineries should utilize bloggers more. We are influencers with followers who can impact a winery’s business. – Wineries can engage bloggers to help to tell their stories and to assist with sharing events on social media. Many bloggers are also open to volunteer opportunities to learn more about wine. Also, bloggers are open to attending events and/or receiving story ideas. Just reach out! Finally, wineries can share our content to their followers as long as it is consistent with their brand. If it isn’t, please tell us. We should make a larger effort to invite bloggers from other states. – After the summit posts got shared through social media and several folks commented how that want to be included in the next event. This will be a great way to expand North Carolina Wine‘s reach. We need a few sponsors for next year’s event. – To control costs for attendees and/or allow for new options, funding from sponsors would be helpful. We need an official press release about the event. – A press release could be used by local media to inform their consumers of the event. It would also be a great way to get press for any sponsors for next year. Notes from the event can be found here. Stay tuned for the announcement of the date of next year’s summit and thanks for your support of #NCWine!